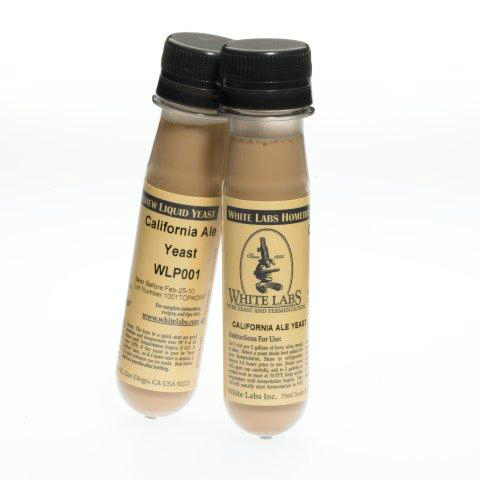 Each vial of White Labs liquid yeast is designed to be used directly in 5 gallons, hence the term "pitchable yeast." Each vial is equivalent in cell count to a pint starter, or 75-150 billion cells. One vial will usually start fermentation in 5 gallons in 5-15 hours at 70°F. If a faster start is desired, or if initial gravity is over 1.070, we recommend a 1-2 pint starter be made. Homebrewers who enjoy yeast culturing: If a starter is made from a fresh vial, one vial can be added directly to a 2 liter starter, which in 2 days will grow to approximately 240 billion cells, to achieve a pitching rate in 5 gallons of of 1 million cells/ml/degree Plato (with a 12 Plato beer). Liquid yeast has many advantages over dried yeast. The variety of liquid strains is much greater, but most important is the flavor profile. Most brewers would agree that beer made with liquid yeast is superior in flavor, and consistently wins medals over dried yeast in national competitions. Most liquid yeast on the market is supplied in small quantities. To make homebrewing easier, White Labs produces vials of liquid yeast that are ready to pitch into 5 gallons of beer. Each vial corresponds to a pint size starter, which saves the brewer 2-3 days and $1.50-3.00 in material cost. If more then a pint starter is desired for pitching (for beers over 1.070 Original Gravity, cold fermented lagers, or homebrewers wanting a faster fermentation), a 1-2 liter starter can be made in just one day.